An easy way to add a touch of colour to any room, the Milo rug collection by Asiatic Carpets keeps it simple yet still stylish. Each rug has a super soft, almost lustrous finish and brings warmth and texture to any space in the modern home. Each Milo rug is made from high quality polyester yarn and is knitted by machine for a luxurious finish. The soft to touch and shimmering nature of each rug makes it a wonderful addition to any space in the home and it comes in a range of rich, deep colourways to complement your existing interior design. 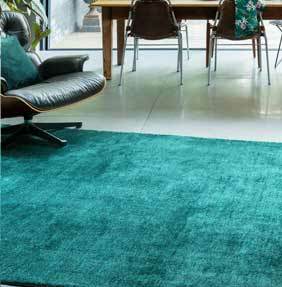 There are three different standard sizes available, ensuring the Milo rug can be enjoyed in different spaces in the home.